We all remember our first jobs; usually a summer gig to make a little bit of extra cash while school was out of session. We can still feel the nervousness of putting in our application and anxiously waiting to hear back about an interview. Then, after securing the job, there was that first day of work and the intimidation of training. Finally, that first paycheck made it all worth it. You’ve dreamed for the past two weeks about what you will spend your hard earned cash on. That is until you rip open that first envelope and confirm with your parents that, yes that really is the right amount of taxes to be taken out. Seasonal jobs are a lot of people’s first introduction into the workforce. But what about the other end of it – that of the employer? Being on the other end can be just as stressful as being the job seeker. 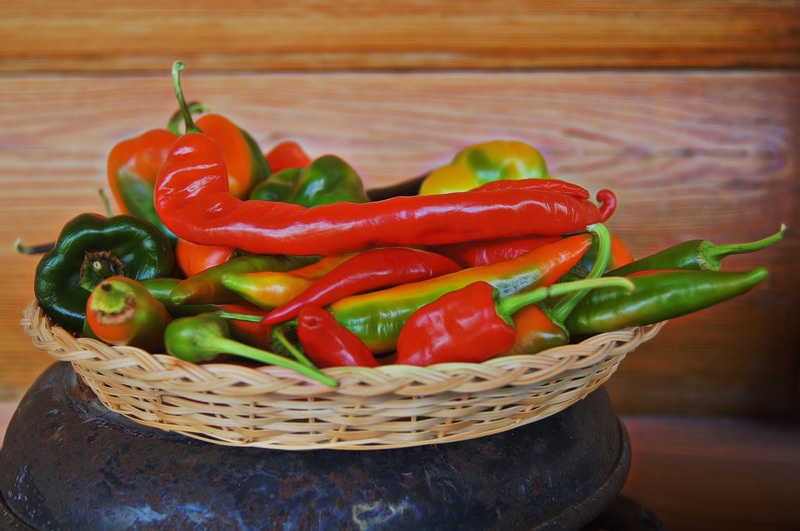 Hiring seasonal help is often necessary to the restaurant industry. Whether it is for the summer season or the holiday rush, seasonal hires can help businesses handle the extra workload that isn’t present during other times of the year. Being well staffed has its advantages. Your business will be able to easily adjust to the workload fluctuations that come along with the change in seasons. If customer demand increases, a well-staffed restaurant will be able to respond positively and ensure a good customer experience. When restaurants have the right employees and enough employees, customer service goes up along with customer satisfaction and 86% of consumers are willing to pay up to 25% more for a better customer experience. Don’t forget that having enough seasonal help leads to shorter wait times and faster service; with faster service comes a quicker turnover rate of customers, which in turn leads to higher profits. Finally, offering seasonal help will help to give your full-time employees more flexibility in their schedules during the holidays/summer season. Keeping your regular help happy is crucial in retaining them during the months when you don’t need the seasonal help. People remember their first job and they also remember if it was a good fit for them or a total disaster. 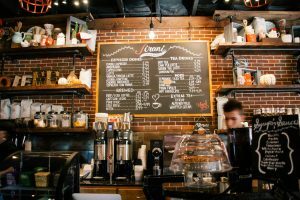 To ensure that you find yourself in a well-staffed, pleasant work environment this season take a look at a few pieces of advice to help secure the best employees for your restaurant. It can be tempting to reuse the job descriptions that you created in years previous but don’t. Check your descriptions and requirements for accuracy before posting anywhere. Oftentimes, jobs change over time and you don’t realize how much until the needs aren’t met. Ask any employees currently performing that job for a list of their duties and requirements so you can accurately present the position and reach the best candidates. Attract the best candidates and convince them that your establishment is a good fit for them by advocating the best parts of your workplace. Is it a fun place to work? Do you offer a discount on meals? Are you willing to work around vacation schedules? Mention perks like that in your job postings or during the interview process to show good candidates why they should choose your business over another. Most potential employees have put in applications to multiple businesses in hopes of being sure to secure a position, so what you put in your description can make all the difference. Who are you looking for and what do they like? If you are looking to hire millennials and iGens in your restaurant maybe look more towards social media to promote you job listings. Chances are that if someone is already a patron of your business and following your social accounts they might be interested in working with you. Especially if you offer a discount on meals! If you are considering hiring retirees perhaps go a more traditional route and put an ad for your job openings in the local paper or on the radio. Also, don’t count out the tried but true tactic of putting a “Now Hiring” sign in your window. It may feel like you have all the time in the world, but summer will be upon you before you even know it. To be safe, start your recruiting process a solid two months in advance of when you need your seasonal employees to start. Keep in mind that your core demographic such as college students and high school students are going to need to make it through finals before they can even think about starting to train in your restaurant. Starting early will also help you to get the process going before the summer hiring frenzy begins. A lot of college students put in applications during their spring breaks in hopes of securing a summer job. When hiring, fill in your key positions first. That way you know that you will be covered and not scrambling at the last minute to find only a decent fit for a position that is crucial to your operations. As it is with food, consistency is paramount. Make sure that your recruiting processes are consistent across the board. If all employees are required to go through the same experiences you have a better chance of a consistent work environment. Employees also spend a lot of time together talking; you don’t want them to be chatting and realize you hired the neighbor kid on the spot and made them go through 3 different interviews. Save time by having a process in place for interviewing, call backs, and onboarding so that the process can be smooth and efficient. Once you do have your staff hired, be sure to have a system of checks and balances to track their progress and watch for red flags. Some people can seem like a perfect fit during the interview process but once they join the team they just don’t fit into the natural workflow. It’s not ideal but it does happen and it’s better to know that earlier rather than later when you can’t do much to amend the damage. With the busier and more lucrative months comes a higher workload level and seasonal hires can be a great way to help distribute the demand. Even though they are temporary employees it is still important to determine if they are a good fit for your business. By starting early, knowing what you want, advertising your openings, and having a consistent hiring process you are on your way to finding seasonal employees that have the potential to mesh with your business and maybe even become a returning and trusted employee. Best of luck in your search! A popular trend in the restaurant industry, communal tables encourage exactly what their name promotes: community. From the long form tables at your local brewery to the stretched tops at your regular coffee shop, communal tables are in! Communal tables aren’t just meant for large parties; they are a chance for your guests to get more social. Although you aren’t required to strike up a conversation with your neighbor, these tables promote interaction among customers. By offering this kind of environment for customers, you can encourage groups to come and work together, which can often turn into more sales for you the longer they stay. These tables help restaurateurs maximize their layout efficiently and provide a break from traditional seating options. A new addition to our outdoor collection, this Outdoor Communal Table with Four Legs brings the communal dining trend outside. To make furniture selection simple for you, we created communal tables to match our New England, Caribbean, and Atlantic collection pieces. Each collection’s communal table use the same materials in construction but vary in look. So what makes these tables so different from the rest of our outdoor lines? 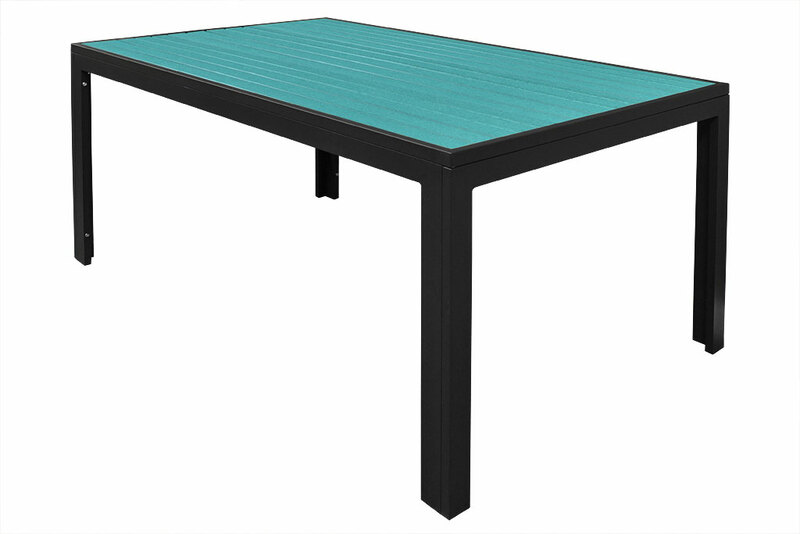 With a Sandtex finish, powder coat, and poly slats, these tables are easy to clean and are rust-resistant against the exterior elements. The durability doesn’t stop at the materials; we also used the fixed leg structure to give added stability, something that is crucial with outdoor furniture. Take this trend to your patio with our three different takes on the communal table for outdoor dining. If you want to mix things up on your patio this year, the Caribbean Communal Table is for your restaurant. This table is extremely customizable for your needs with its silver or black frame and 24 poly lumber colors to choose from. Channel the beaches of Nantucket or Cape Cod into your outdoor space. The New England Outdoor Communal Table fits right into the rest of its collection with its barn wood poly slats and rustic feel. This table combines the look of premium high-end restaurant outdoor furniture at a lower price and is easier to maintain. The teak-inspired poly slats of the Atlantic Communal Table convey the modern, yet relaxed aesthetic that you see in the rest of the Atlantic Collection. Whether you’re looking for a rustic, teak, or colorful look, these communal tables are a great addition to your patio. We’ve all been there. It’s date night and you’re out eating dinner at your favorite restaurant; the food is great, the ambiance is perfect, and the company is lovely, but…this darn table won’t stop wobbling. It’s maddening. Like a mosquito near your ear, it’s all you can think about. You carefully put your drinks toward the center of the table and pray that you’re not wearing your wife’s cabernet before the nights over. If you’re a restaurant owner or manager, the scenario above is the last thing that you want to happen. You want your customers to leave dreaming about your food, or the great time they had, not complaining about your tables. Fortunately, a wobbly table is usually easily fixed, either for free, or for a minimal cost. So, it’s worth it in terms of customer satisfaction to fix them. What makes a table wobble? Most of the time a table is wobbly because the floor that it rests on is not perfectly level or flat. In fact, any good contractor will tell you that there is no such thing as a perfectly level floor. If you don’t believe us, put a laser level on your floor and you will most likely find that it isn’t perfectly level. Another reason that tables become wobbly is because they are moved frequently from spot to spot. Many table bases have adjustable levelers at the bottom of the base that are used to level the base on a particular section of floor. If the base was leveled for one area of the floor and then moved, it may need re-adjusted. This is an easy, free fix that many employees are not trained properly on. In rarer instances, you might find that one of the base legs is damaged, screws are loose or missing, or a glide is missing on your table base. If the table is damaged, then you should take it out of service until it is either fixed or replaced. So how can you fix wobbly tables? If you have a 4 leg table, try the ¼ turn test. Start rotating the table slowly until you find the spot where the table is level and stops wobbling – it’s mathematically proven that somewhere between 0 and 25 degrees, you will find a spot. If your base has table levelers, adjust the leveler that is off of the ground by screwing it counter clockwise. This is usually sufficient when there is only a small gap under the base leg. Check your base and table joints and make sure all screws are tight. If a screw is loose, tighten it. Put a rubber wedge under the table leg that has a gap underneath it. Do not use coasters or napkins, as they slide out easily and are a tripping hazard. Wobbly tables are an age-old problem; one that can cause a lot of discomfort for your guests and generate bad reviews for your restaurant. Fortunately, the problem is usually easily solved with the proper know-how. Now that you are aware of the solutions, train your employees to be on the lookout for wobbly tables, and how to fix them. Beer festivals are a great way to introduce craft beer to your area. If you are a brewer, it can be a win-win situation, one where organizers of the event profit from the event itself while local brewers benefit from improved business visibility. Beer festivals are also a way to help people feel comfortable trying types of beers they normally wouldn’t. An attendee could try a beer, have it become their new favorite, and go home and encourage all of their friends to try it. Word of mouth is a powerful driver of customers for businesses. 92% of consumers believe recommendations from friends and family over all forms of advertising. 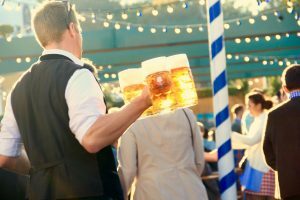 While it can be a fun, and profitable event, it is quite an undertaking to plan your own beer festival. To help you onto the road to success we have compiled a guide to starting a beer festival in your area. 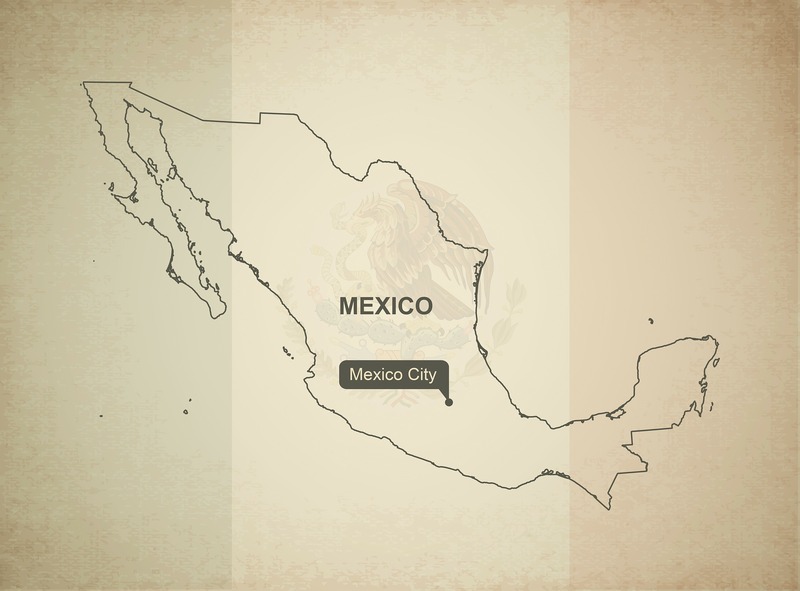 Several logistics are important to consider in the beginning stages of planning your event. The very first being the date. You need to leave yourself plenty of time to plan and organize your event so that it doesn’t seem thrown together. Allow yourself at least 6-8 weeks to plan your event. The other thing you will want to consider in the very early stages is what will make your event special. What is your focus that will set you apart from the pack? If your focus is going to be on beers with a citrus twist summer might be a better time to hold your event than in the fall when people are craving pumpkin beverages. The Brewmasters Craft Beer Festival in Galveston, Texas is a three day event that focuses on their “Taste It First” series, which debuts a massive line-up of beers that are about to hit the market. ProTip: Be aware of local events or holidays when trying to select a date. You don’t want to compete with other events for the attention of your target audience. A crucial part of researching locations is considering the support of the community surrounding the venue. If you are fighting the community with every step you take, the chances of running a successful festival are minimal. For example, a dry town might not be the best place to host your first beer festival. You also want to choose a spot with plenty of parking options. Nothing is worse than having to fight other drivers over a few precious parking spots when you are trying to get to an event you’ve been looking forward to. It might be beneficial to partner with a local transportation company to get festival goers to and from the event. As a bonus, this helps deter drunk driving after the event. Something else you want to have plenty of is bathrooms. Especially at a beer festival, you are going to need plenty of bathrooms to keep lines down. If you are looking at a venue with limited bathroom options, consider looking into portable bathroom rentals. ProTip: Try to look at locations with a decent amount of foot traffic. Interested passersby can be a contributor to ticket sales. The season and weather is another aspect to take into consideration. 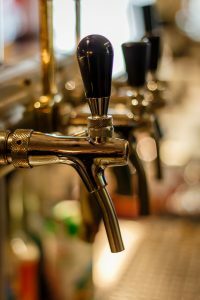 Weather can have a big effect on the types of beer you are going to serve, and in turn the types of beer attendees are looking to consume. Not many people are going to want a heavy, dark beer in the dog days of summer. 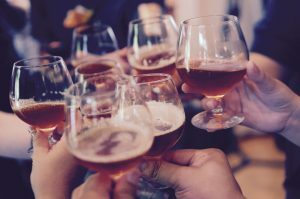 The types of permits you’ll need to sell alcohol are going to vary at both the local and state levels, but your first call should be to you state’s Alcohol Beverage Control. They can set you on the right path to acquiring all the permits needed for your event. Give yourself plenty of time to apply for these permits, it can be a time consuming process and nobody wants to go to a beer festival where there is no beer. Right off the bat, you are going to want to acquire general liability and liquor liability insurance. These are the basic levels of insurance that you will need in case someone is injured or chooses to drive drunk after attending your festival. Certain insurance companies specialize in event insurance and could be a good place to start your search; K&K Insurance is one of those companies. Now that you have some of the really big decisions made, you can start focusing on the details of hosting a beer festival. It is important to decide what types of tickets you’ll have. Are they paper? Wristbands? Will you sell them electronically? 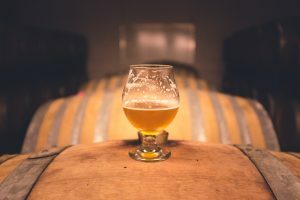 Beerfests.com is a site that helps breweries hosting a beer event to sell tickets online. The way they can do that at no cost to the festival, is by charging a small processing fee to the consumer purchasing the ticket. They offer services such as custom event websites, ticket scanners, mobile ticketing, and analytics and reporting on tickets that were sold. Something else to consider is whether you want to sell tickets at the door of your event. The number of attendees can drastically affect the amount of beer that breweries need to bring and by selling tickets the day of the event you can greatly fluctuate those numbers. Consider discussing your plans with the participating breweries to determine the best process for your event. By making brewers a part of the conversation you can benefit from their knowledge or previous experiences. Keeping the lines of communication open between you and your brewers is important, especially when it comes to determining your ticket pricing. You have two options, to charge a flat fee on your tickets or to charge by the drink. Some breweries might prefer that festival goers pay by the drink but when this happens it can offer slow the vendor down creating large lines. To solve that problem consider using a voucher system, with vouchers being purchased in an area away from the beer lines. A crucial part of hosting any event is making sure that you get the word out. In today’s day and age, it has never been easier to promote an event utilizing social media. You can get a lot of information to potential attendees, for free. But if you are willing to pay a few dollars, many social media platforms have ads that can target a certain age group, with certain interests, in a very specific location. Email is another great option if you have access to a qualified list of potential attendees. Another great way to use technology to promote your event is by partnering with a drinking app. By doing this you know that the user is already interested in alcoholic beverages and might be open to trying more. There are several different apps that track beer consumption, but a popular one is brewtrackr. While technology can aid in the promotion process, it is by no means the only way to go. Don’t forget about other traditional forms of media. Flyers, posters, newspapers and other forms of print distribution have a way of finding themselves in the hands of interested parties. You could also donate tickets to a local radio station. Doing so could earn you thousands in free advertising dollars. A different beneficial arrangement could be asking the station if they would be willing to advertise and promote your festival for a month in exchange for a booth at your festival. You can save on marketing money while also reaching new audiences in your area. They might even be willing to be your musical entertainment for the night. Two birds, one stone! Naturally, for any festival you are going to need a lot of supplies to make the whole day go smoothly. In an effort to help you not forget anything we have compiled a checklist to help get you through the day. ProTip: Just in case you do forget something, have a staff member with a valid license who can run out and get items. 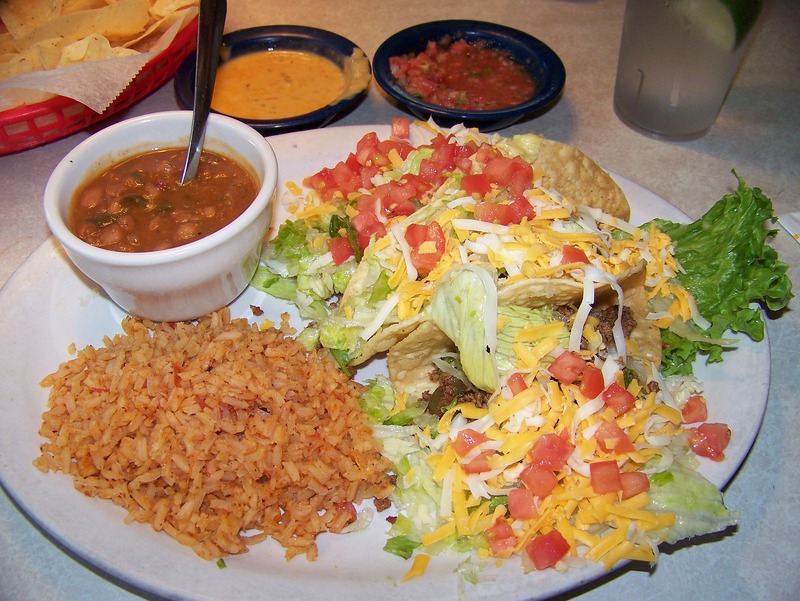 Food is another critical part of any gathering, especially one that involves alcohol. By adding food options to your lineup, you not only attract more attendees but encourage responsible drinking practices. Some localities might even require you to sell food at your event. A great way to do that is by asking food trucks in your area to set up at your venue. This creates a win-win situation not only for you as the organizer, but also for the food truck operators. You get to offer food and they get a venue where they know there will be a crowd searching for a delicious bite to pair with their beer. If children are able to attend your event, which many localities don’t allow, be sure to have an area designated to them. Just because they can’t drink doesn’t mean they can’t also have a good time. By setting up a small play area you create a safe space for the kids to enjoy while their parents savor their adult beverages. By including the whole family you are sure to open yourself up to a wider range of potential attendees. Staffing is a crucial aspect of your day of game plan. You need to have staff scanning tickets and checking id’s. Consider having a few staffers designated to answering any questions attendees might have. ProTip: Remember that beer is the main focus of the event. Don’t get so wrapped up in entertainment that you lose focus of the beer. Now that your beer festival is finally completed you can take a break and relax right? Well, there are a few loose ends you might want to tie up before you hang up your clipboard. Take one final look at your bills. Make sure that you were charged correctly and everyone was paid on time. Nobody wants that hanging over their head. Once you get your bills out of the way, take the time to file all proper tax paper work. I know not many people jump out of bed in the morning excited to file tax paperwork, but your future self will thank you for the foresight. Finally, consider sending out a few thank you notes. It may seem like an old tradition, but that personal touch can leave a lasting impression on breweries, vendors, and staffers or volunteers. If you would like to make your festival a reoccurring event, a small gesture like writing a thank you note can go a long way. Hosting a beer festival may seem like a lot of work, and it’s. But the improved business visibility and community engagement are worth the prep and planning in the long run. 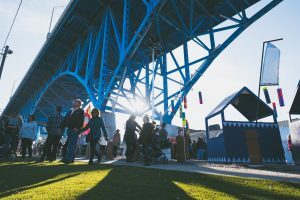 By making sure that you give yourself plenty of time, gather your permits, advertise, and stay focused, you will be well on your way to becoming the next great American beer festival.